If you are a teacher in America, chances are you have an English Language Learner (ELL) in your classroom. Take note: that number–approximately 10% of students currently–is rising. How do you reach and teach ELLs? If you currently teaching using project-based learning (PBL) as an engagement lever or pedagogy, or if you aspire to, you may find some inspiration in the educators we interviewed to tell how us how PBL is being used to support language learning and acquisition. Buck Institute for Education is an organization whose mission is to create, gather, and share high-quality project-based learning practices and products. Members of the organization recently traveled with their national faculty to an island off the coast of California to lead professional development around how project-based learning (PBL) can reach all students. This includes the increasing number of English Language Learners (ELLs) across the United States. As a network of project-based schools, New Tech Network (NTN) thinks about how to design projects–and a school-wide culture that supports them–one that is effective and inspiring. “We don’t want to teach language or content to our ELL students, we want to teach language plus content, and we want it to be meaningful with social purpose,” says Alix Horton, NTN Literacy Coach. Suzie Boss and John Larmer, authors of PBL for the 21st Century: Teaching Critical Thinking, Collaboration, Communication and Creativity, offer insights from their book in order to utilize PBL to engage and teach ELLs. Here are 4 best practices for using PBL with English Language Learners. Encourage academic content that is broken down for comprehensible input. This idea of building schema is one way in which ELL students really benefit from PBL. Projects allow students to experience through creating and therefore pulling knowledge that they already have–despite the language. Alix notes that schools need to be very intentional and thoughtful as to how scaffolding comes into play, from the initial explanation of the project to the student’s presentation of their work. For example, presenting can be terrifying for ELL students, which is why teachers should have a plan to help practice and prepare (start with the individual, then practice in pairs, then small groups, etc). You use language to present to an audience and content is embedded. Alix says that the tendency can be to have ELL curriculum simplified rather than amplified, which is why she has really appreciated the tools and resources from Understanding Language at Stanford. It is important to recognize project-based learning as authentic instruction, and integrating deeper learning and collaborative discourse can be really good for ELL students. Some of the initial work of the cohorts has focused on supporting ELL students in building and presenting arguments. They have found that rethinking something as simple as a graphic organizer can be extremely helpful in supporting students in pulling evidence from text and sorting through that evidence to find the best support to an argument. Extending the opportunity for more guided practice has been key. NTN is excited to see that these cohort are also starting to spontaneously scale at the individual school sites. For these cohorts, it really starts with a deep analysis of student work and using the best practices they know to be true to intentionally scaffold learning. Engage students in meaningful learning through flexible, individualized strategies and practical time limits and goals. Model PBL for all educators. New Tech Network has built a cohort of educators that are using improvement science to develop better supports for their ELL students. The work, supported by a Hewlett Foundation grant, allows teachers and schools with similar concerns to come together to analyze the problem, figure out ideas for change and go back to individual schools sites to try ideas out. It is an opportunity for these project-based learning (PBL) teachers to take on their own project. They work to divide the problem into parts, spend time working on each part individually, then come back together regularly to share findings and iterate. The biggest challenge can be the process itself. It is a very disciplined cycle that requires the time and energy of already very busy individual teachers, but it has turned out to be a great example of what growth mindset looks like at the adult level — the teachers have to be comfortable trying strategies and reporting back both their successes and failures. Promote discussion and dialogue among peers and student/teacher. How do you use project-based learning to Support ELL students? Share with us your ideas at #SupportELL. This blog is part of the Supporting English Language Learners Series with support from The Bill & Melinda Gates Foundation. For more, stay tuned for the culminating podcast, infographic and publication. 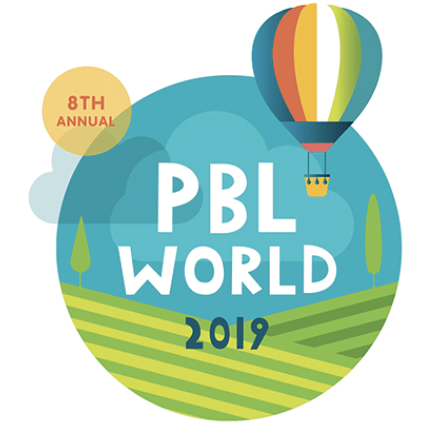 To engage in professional learning about PBL, check out the upcoming conference, PBL World in Napa Valley June 13-16 and join in the conversation using #PBLWorld.